Fatigue, food sensitivity, bloating, diarrhoea, constipation, sugar cravings, bad breath, mood swings, eczema, weight fluctuation and low immune function are all some of the tell-tale signs of an unhappy gut. With packed daily schedules; from work meetings, to sorting through emails, from attempting to squeeze in some exercise, to coordinating childcare, the health of your gut may often be brushed under the carpet. To help you take charge and tackle the cause of your symptoms look to an innovative new supplement brand Sense*and its unique formula, Sense* for Gut Health. This natural food supplement provides expertly targeted nutrients, to show your digestive system some TLC. 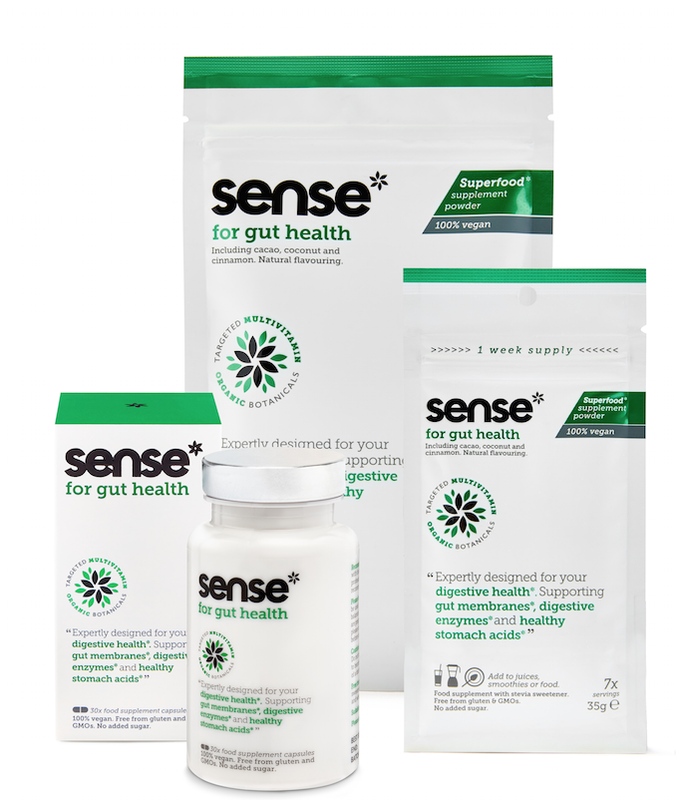 Sense* for Gut Health supports gut membranes, digestive enzymes and healthy stomach acids by replacing the nasties with nutrients that help to heal and maintain a healthy gut. The formula is a truly unique concept that combines and incorporates a targeted multivitamin, embedded in a rich, quality powder of relevant superfoods. 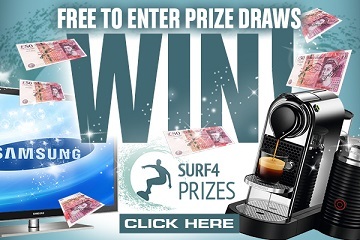 The product is available in a capsule form for convenience, or in a powder form, which can be added to your favourite smoothies, juices or stirred into food. The powder form is available in a monthly supply as well as a weekly supply – perfect for on the go. “An additional benefit of the powders is that the ingredients responsible for the flavour, also deliver nutritional benefits and increase the product application and efficacy. From the fibre rich inulin derived from chicory, (which functions as a prebiotic and food source for the beneficial bacteria that live there), to dried prunes and the digestive lubricant psylliumhusk, (which naturally treats constipation and helps maintain regular bowel movements). Sense* for Gut Health helps you feel in control of your body and ready to face the demands of everyday life,” explains Dimitra Sentelidou.